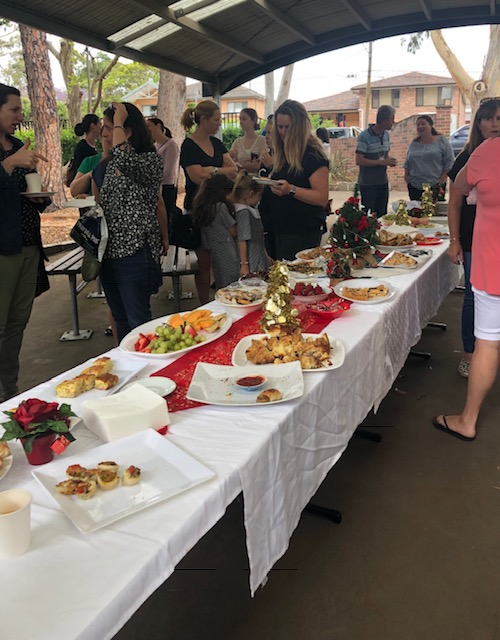 Thank you to the many members of our school community who joined us yesterday, sharing a lovely breakfast provided by the BHPS staff. This was a special opportunity for us to thank you for the incredible contributions you make to our school each and every day. Thank you to our wonderful staff members for providing the delicious treats and a special mention to Mrs Ferry for her overall coordination of the morning. Thank you also to Miss Widmer and our gorgeous choir for their lovely performance. We hope everyone enjoyed the morning! Farewell to some dear staff members! We farewell Mrs Sherwood- We take the opportunity to say an enormous thank you and farewell to Mrs Sherwood who will be taking leave at the beginning of 2019 and extending with possible retirement. In all her humility, Mrs Sherwood is hopeful to make a very quiet exit and even though we are very hopeful she will return for some day to day teaching with us, we can’t let her leave without a hearty send off! I consider myself the luckiest person in the world having worked with Mrs Sherwood twice. As a teacher, she was someone I admired and learnt from every day. She loves her job, loves the freedom to do so and she is absolutely exceptional at it. As a Principal, Sandra's passion, commitment and expertise inspires me every day. 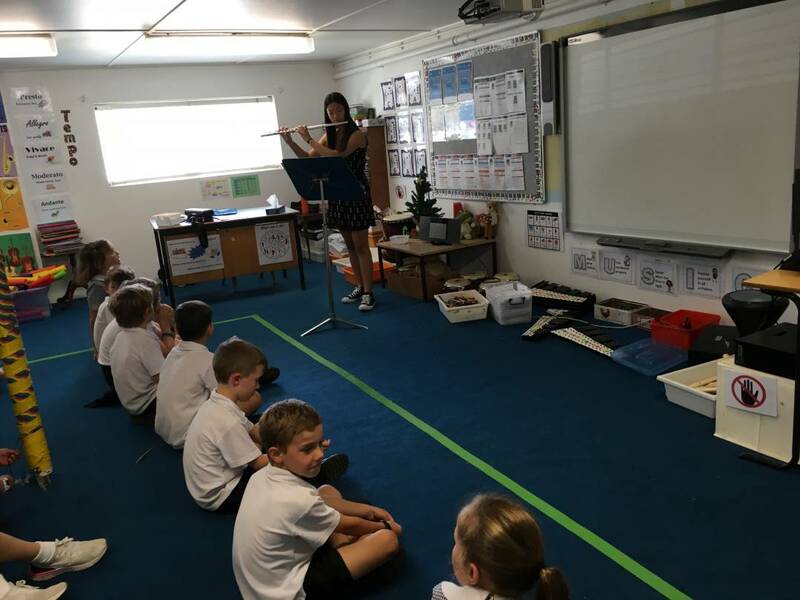 Mrs Sherwood is highly skilled at what she does but, at the same time, she continues to learn and try different ways to engage students. Any child who has been taught by Mrs Sherwood is blessed and any teacher who has worked with her is all the more rich because of it! Thank you Sandra for an incredible career in education- over 36 years! We wish you all the best for exciting adventures ahead and lots of time to spend with your soon to arrive baby granddaughter. Farewell Miss McRobie- we are technically not farewelling Miss McRobie, rather saying see you soon. Miss McRobie will be spending 2019 in beautiful WA. We thank her for being the amazing teacher she is and a truly lovely person to know. Emma has been an amazing asset to the BHPS team for the last 3 years and we will miss her. We wish her all the best for her adventures and look forward to seeing her in 2020. Farewell Mr Fraser- sadly for us we say goodbye to Martin, our school psychologist, at the end of this year. Due to restructuring of networks, Martin will be moving to another school. We are so grateful to Martin for the contribution he has made to our school and the care he has shown our students and families. We will miss him but wish him all the best and know he will keep in touch. We look forward to our annual Christmas Family Picnic and Carols to be held Thursday 13 December from 5.00pm – 7.30pm on the oval. We look forward to our fabulous bands and choirs performing for our enjoyment. We would greatly appreciate if families could take home any rubbish so please bring a garbage bag. In the interests of children’s safety, we ask that NO ALCOHOL or GLASS BOTTLES are brought to the event. We welcomed Mr Michael Regan, Mayor, to our school on Wednesday. 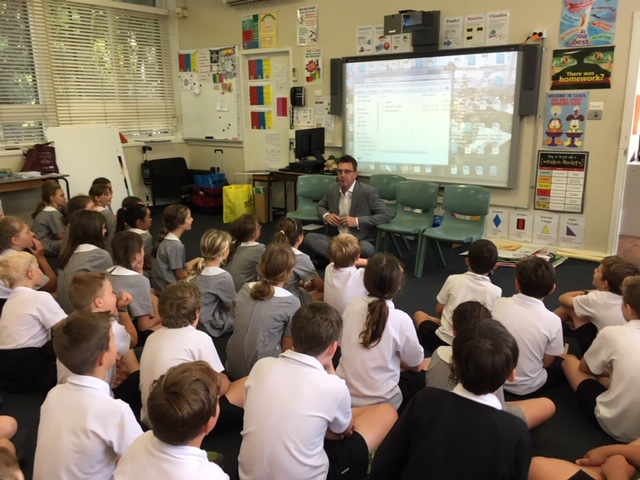 Mr Regan spent some time chatting with 3/4N and 6R regarding the Northern Beaches Council's current and future sustainability initiatives. We thank Mr Regan for taking the time out of his very busy schedule to visit us! 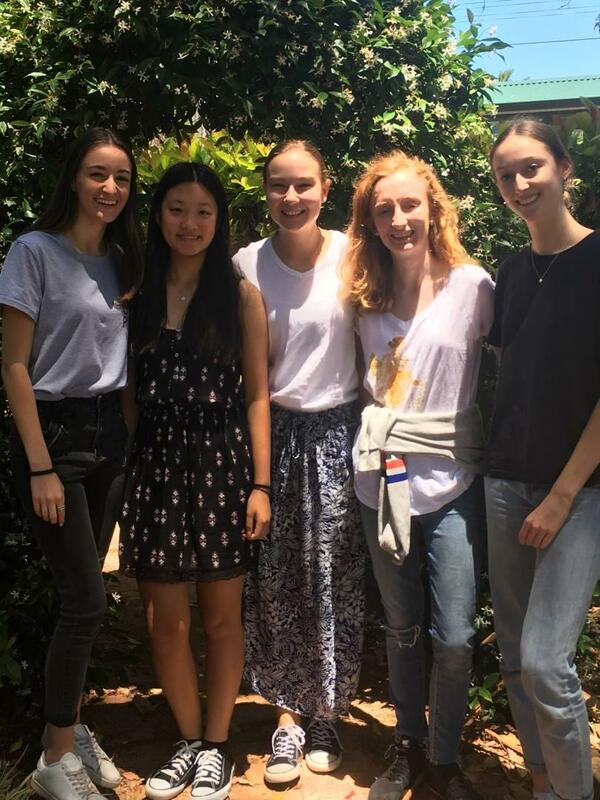 This week we have welcomed students from Mackellar Girls (all past BHPS students) as part of their Year 10 Work Experience placement: Nikita Courouzos, Sapphron Wheatley, Hannah Toogood, Brianna O'Young and Ella McGuire. The children and staff loved having you with us this week and we thank you so much for all your help! Wedding Bells will soon ring again! We love weddings at Beacon Hill and we congratulate our lovely Mr Andrews, Mr Browne and Mr Fraser on their recent engagements. We wish them and their partners, Katie, Kim and Kate all the very best at this exciting time! Our annual Presentation of Awards Ceremony is a very special event held at the end of each school year. This year, the ceremony will be held on Thursday 13 December commencing at 9.10am in the MPC and concluding at approximately 11am. It is a time to congratulate all students for trying to do their best and in particular, we acknowledge and celebrate those children who have excelled in their class work, and also those who have represented our school with pride and distinction. Limited free reserved seating sold out quickly for parents/carers of award recipients and graduating Year 6 students. There will be additional unreserved seating available on a first come, first served basis. In order to meet WHS regulations, standing room will only be available at the back of the hall and the side aisles must be kept clear. Beacon Hill Public School had an overwhelming response to the Tree of Joy for the last few years and we now have a Tree of Joy in our foyer again this year. Our school will be supporting our local charities including Catholic Care, supporting families in need and Stewart House, coordinated by Smile Elite to provide Christmas gifts for those in our wider community who are less fortunate to help brighten their Christmas Day. 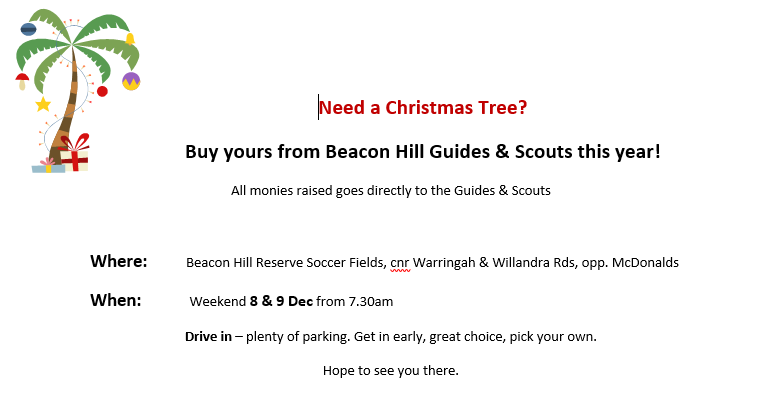 Participation is voluntary and Beacon Hill PS families are asked to please take a gift tag from the tree and buy the specified gift listed on the tag. Please wrap the gift and stick the tag on the front. Please drop back the gift to the foyer to take part in our Tree of Joy. It’s always wonderful to see our children sharing the excitement of the lead up to Christmas by thinking of and giving to others. The final day for drop off and collection of the gifts will be the morning of Monday 17th December. 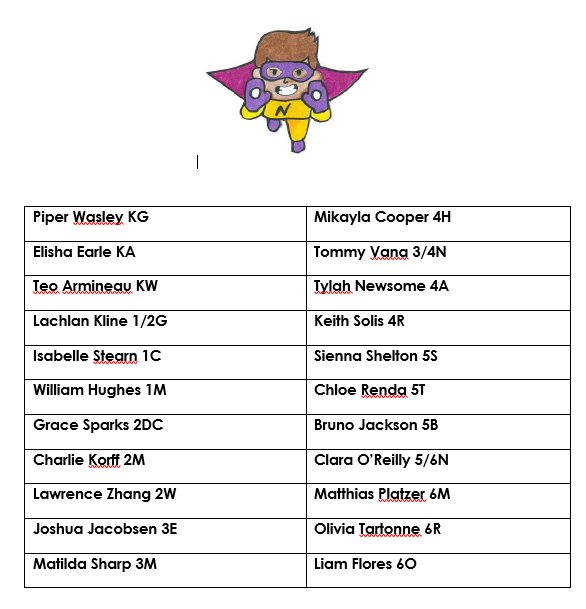 Congratulations to the following students who are displaying the qualities of Never giving up like NOVA, staying flexible, talking and connecting, listening to alternate points of view and realising the potential of a group. These students will receive their Nova award at the shade structure assembly on Monday 10 December. Last Friday, four of our PSSA teams represented our school in Summer PSSA Grand Finals. The Junior B Girls' Eagle Tag team and the Junior Girls' Tee Ball team won their games, finishing the season as champions for their respective sports. Congratulations girls! The Junior A Girls' Eagle Tag team and the Senior Girls' Softball team were beaten by narrow margins, finishing as runners-up for their respective sports. What an outstanding effort for these four teams to make it to the grand final! All of the girls should feel extremely proud of their achievements. 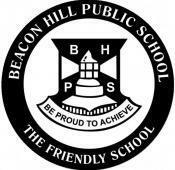 The Mayor’s visit to Beacon Hill! On Wednesday 5th December the Mayor, Michael Regan, and two Waste-Education Officers from the Northern Beaches Council visited students from 6R and 3/4N. Both of these classes had been watching War on Waste and decided to write to the Mayor concerning sustainability issues in our community, particular food waste and how the council should be composting this and not sending it to landfill. The letters were sent and we received a response and he asked to come in for a visit! It was all very exciting and the students had a lot of interesting and insightful questions. 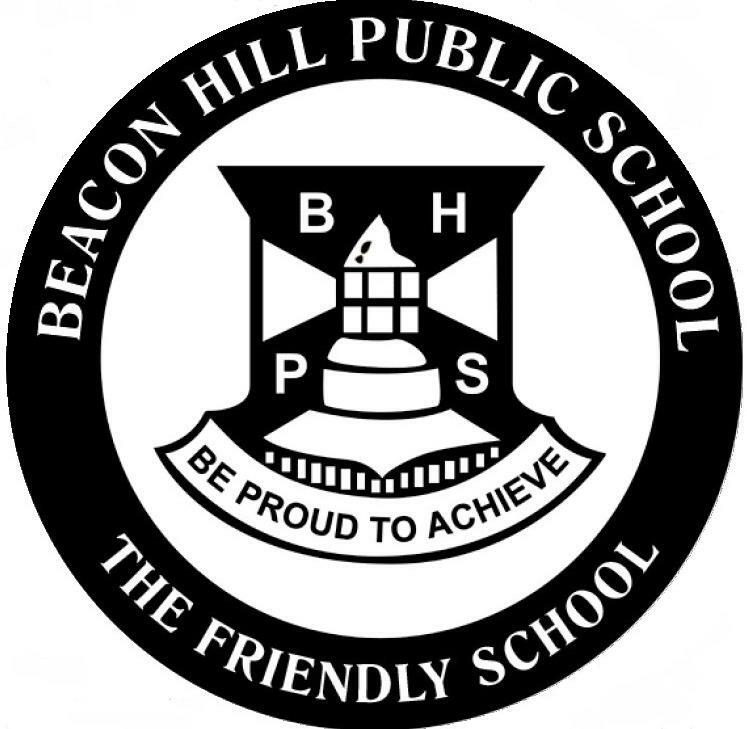 We definitely have passionate students at Beacon Hill, which is a wonderful thing for the future of our community! The Mayor got around and answered every question, and we had some great discussions on ways we can all be more environmentally friendly, such as swapping single-use plastics for reusable ones! 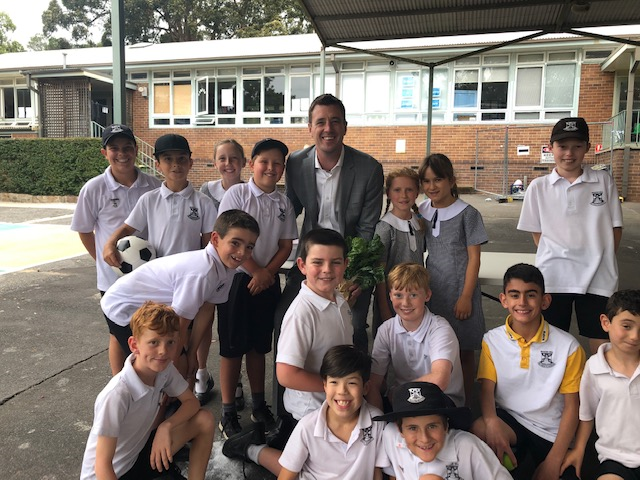 At the end of it all, some Garden Club members presented Mr Regan with a bunch of silverbeet which was freshly harvested from our school garden. Yesterday the Mayor came to 6R and 3/4N. Mr Regan came to speak to us about sustainability and how they are introducing new bins for each household on the Northern Beaches to make recycling and composting more efficient and to track where your rubbish is going. He liked engaging in the conversations with everyone and he was kind, caring and liked to listen. 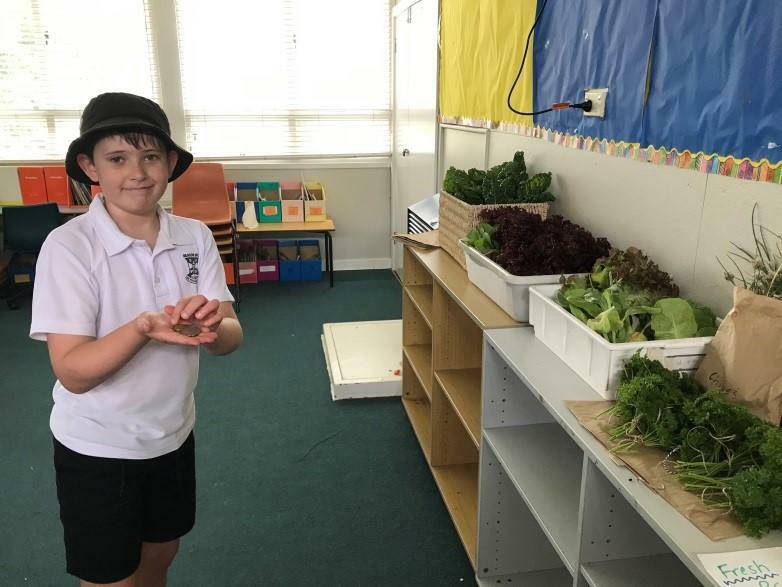 What a WONDERFUL week Garden Club has had! 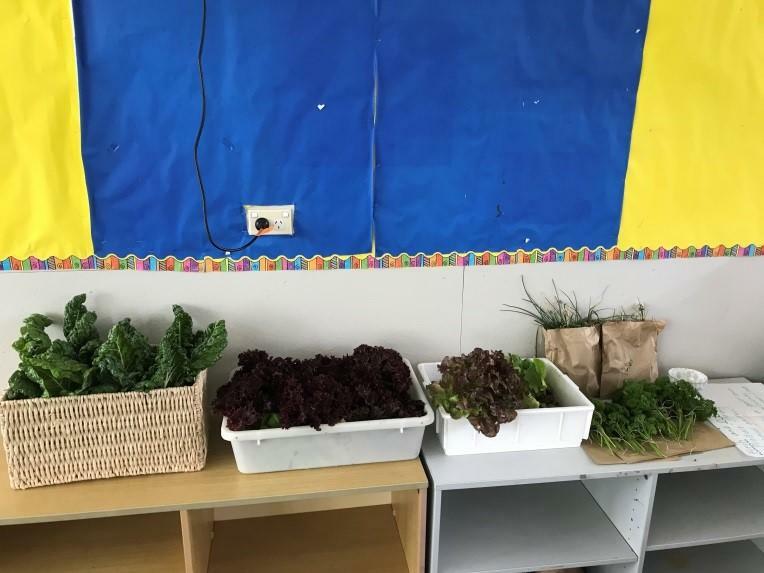 It was time to harvest our organic veggies (just in time for the holidays)! There was a lot of silverbeet, parsley and lettuce, plus a few bok choy plants! 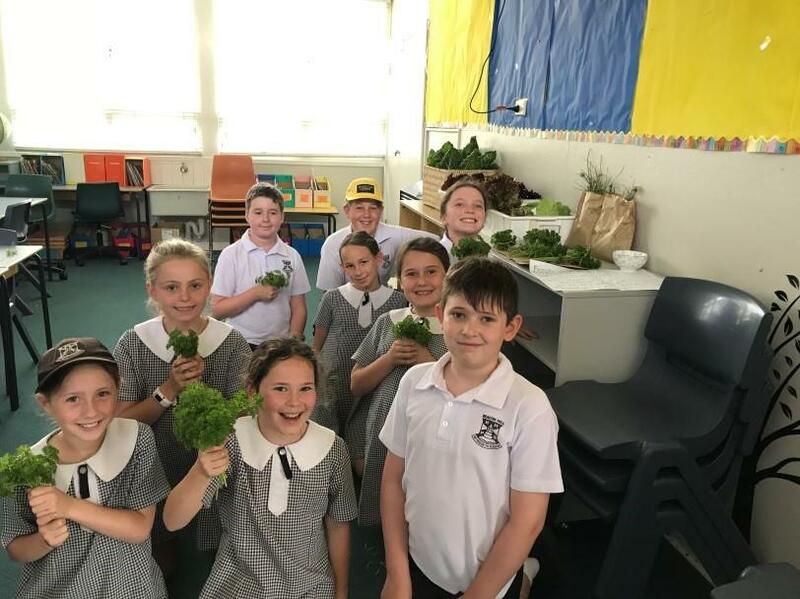 It was amazing to see the students bunching together the fresh produce, which was then sold to the teachers and community for a gold coin donation. Our tomatoes are taking a little extra time, so make sure you keep an eye on your SkoolBag app, as there could be more produce around next week. 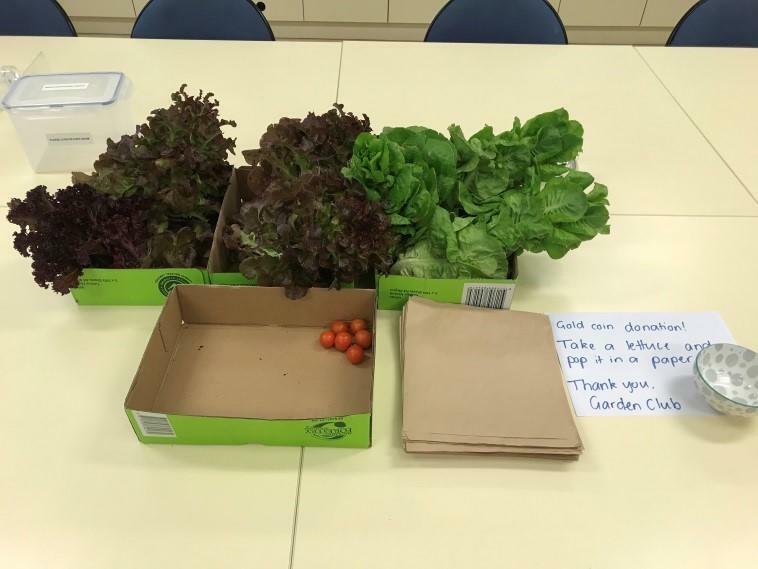 All donations go back to Garden Club to help buy resources for next year. 2019 will see Garden Club return bigger and better! Year 6 would like to say a big thank you to everyone who supported Pizza/Popper Day! The unpleasant weather didn’t stop Year 6 delivering tasty pizza to all the classrooms in a record amount of time. We would also like to thank Dan Evans, father of Kody in 6R and Mitchell in 1/2G, from Domino’s Dee Why who has again kindly helped us in our fundraising efforts. We couldn’t do it without you. LAST CHANCE TO JOIN OUR 2019 JUNIOR BAND! We already have 47 students registered for our 2019 Junior Band we are looking forward to a fabulous year of making music with our young musicians. Now is your last chance to register for Band and be part of the fun. No experience is required, and there are no auditions. All students in Years 2 and 3 are invited to join. Complete your registration on line at https://goo.gl/forms/qAsL6APkXzj3Bm6H2 or contact Jennifer Stuart on jenniferpickles@yahoo.com if you have any questions. Book Club gifts have now arrived! If you marked the “GIFT” box on your order your books are now ready for collection from the office. Year 6 will again be running their annual FUN DAY on Friday 14th December. The K-2 classes will attend in the morning session and the Primary students will attend in the middle session. This event is the last fundraiser for Year 6 for 2018 and goes towards a Year 6 gift to the school. There will be lots of different games, activities, prizes and even major prizes. You will be able to purchase a $10 wristband that will entitle you to unlimited access to each activity. This system minimises any loss of tickets and makes the day run more efficiently for everyone. The children will be issued with their wristband on the day of the mini fete. Final reminder for outstanding fees. A final reminder email will be sent out early next week.